Draft: 2009, Pittsburgh Pirates, CAth rd. November 6, 2017 RHP Vic Black elected free agency. August 1, 2017 RHP Vic Black assigned to Richmond Flying Squirrels from Salem-Keizer Volcanoes. July 29, 2017 RHP Vic Black assigned to Salem-Keizer Volcanoes from Richmond Flying Squirrels. June 30, 2017 RHP Vic Black assigned to Richmond Flying Squirrels from Sacramento River Cats. June 14, 2017 Sacramento River Cats sent RHP Vic Black on a rehab assignment to Salem-Keizer Volcanoes. June 5, 2017 RHP Vic Black assigned to Sacramento River Cats. May 5, 2017 San Francisco Giants signed free agent RHP Vic Black to a minor league contract. December 22, 2015 RHP Vic Black assigned to Tigres del Licey. November 30, 2015 RHP Vic Black assigned to Aguilas Cibaenas. November 30, 2015 RHP Vic Black roster status changed by Aguilas Cibaenas. November 6, 2015 RHP Vic Black elected free agency. September 1, 2015 New York Mets sent Vic Black outright to Las Vegas 51s. June 21, 2015 Las Vegas 51s activated RHP Vic Black from the 7-day disabled list. June 15, 2015 Las Vegas 51s placed RHP Vic Black on the 7-day disabled list retroactive to June 11, 2015. 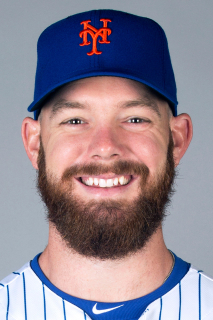 June 7, 2015 New York Mets optioned RHP Vic Black to Las Vegas 51s. June 4, 2015 New York Mets sent RHP Vic Black on a rehab assignment to Las Vegas 51s. May 23, 2015 New York Mets sent RHP Vic Black on a rehab assignment to Binghamton Mets. May 16, 2015 New York Mets sent RHP Vic Black on a rehab assignment to St. Lucie Mets. April 18, 2015 New York Mets sent RHP Vic Black on a rehab assignment to Binghamton Mets. April 14, 2015 New York Mets sent RHP Vic Black on a rehab assignment to St. Lucie Mets. 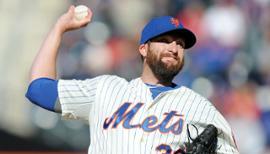 September 8, 2014 New York Mets activated RHP Vic Black from the 15-day disabled list. 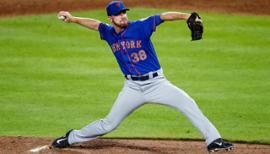 May 27, 2014 New York Mets recalled RHP Vic Black from Las Vegas 51s. May 26, 2014 New York Mets optioned RHP Vic Black to Las Vegas 51s. May 25, 2014 New York Mets recalled Vic Black from Las Vegas 51s. April 11, 2014 Las Vegas 51s activated RHP Vic Black from the 7-day disabled list. April 6, 2014 Las Vegas 51s placed RHP Vic Black on the 7-day disabled list retroactive to April 4, 2014. 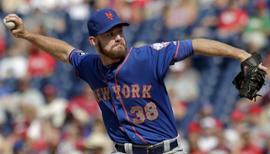 March 26, 2014 New York Mets optioned RHP Vic Black to Las Vegas 51s. September 1, 2013 New York Mets recalled Vic Black from Las Vegas 51s. 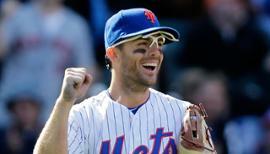 August 29, 2013 Pittsburgh Pirates traded RHP Vic Black to New York Mets. August 29, 2013 Vic Black assigned to Las Vegas 51s. August 2, 2013 Pittsburgh Pirates optioned RHP Vic Black to Indianapolis Indians. July 23, 2013 Pittsburgh Pirates recalled Vic Black from Indianapolis Indians. June 24, 2013 Vic Black roster status changed by Indianapolis Indians. May 23, 2013 Indianapolis Indians placed RHP Vic Black on the 7-day disabled list retroactive to May 22, 2013. March 13, 2013 Pittsburgh Pirates optioned RHP Vic Black to Indianapolis Indians. November 20, 2012 Pittsburgh Pirates selected the contract of Vic Black from Altoona Curve. September 24, 2012 Scottsdale Scorpions activated RHP Vic Black. April 2, 2012 Vic Black assigned to Altoona Curve from Bradenton Marauders. August 13, 2011 Vic Black assigned to Bradenton Marauders from West Virginia Power. May 25, 2011 Vic Black assigned to West Virginia Power from Bradenton Marauders. April 7, 2011 Vic Black assigned to Bradenton Marauders from West Virginia Power. September 19, 2010 Vic Black roster status changed by West Virginia Power. May 26, 2010 West Virginia Power placed RHP Vic Black on the 7-day disabled list. May 16, 2010 RHP Vic Black assigned to West Virginia Power from State College Spikes. June 28, 2009 Vic Black assigned to State College Spikes from Pittsburgh Pirates. June 20, 2009 Pittsburgh Pirates signed RHP Vic Black.